The first children’s book I ever worked on was a friend’s story. I did the illustrations. It was before I read any books on the subject, or took any courses, or knew this was what I wanted to do with my life. We were both recently out of college, trying to figure out what to do with our lives. She was a writer and I was an artist. We got to be great friends. When she came up with a children’s story, it seemed a natural for me to draw pictures for it, which I did. We were excited over our work and were ripe for every possibility. The manuscript was 64 pages long, about a bookworm who wants to tell all the stories he’s read during his life among the great books, and leaves his comfortable life in a volume of Shakespeare to find a way to do it. His adventures along the way, I recall, involve several colorful characters, including a termite who works at the post office. My friend, an unpublished author at the time, had written adult stories, but this was her first attempt at a children’s book. I had done some greeting cards for friends and relatives, but had nothing published professionally. My drawing style at the time bordered on cartoony. I had grown up on Disney animation and comic books, and although my tastes had expanded, that had not yet come through in my drawings. When a relative heard about our book, she told us she knew someone who was an agent., and would ask her if she’d help us. This person said she’d show our book to some people. We were impressed, gladly thanked her, and went home to put the package together. I hurriedly did more pictures for the presentation. Little characters with big bug-eyes were on every page. I did them in color. We got a book with plastic see-through pages and cut the manuscript up to display it with the illustrations in place. It looked great. Now, as you’ve read through this, you probably picked up a few glaring no-no’s. Let’s see how close you came to finding them all. 1. No picture book should be 64 manuscript pages long. If we had read even one book on writing and publishing books for children, we would have known that the subject matter and plot made it a picture book idea in the format of a novel. And we would have known that the standard picture book text was approximately four to six manuscript pages long, except on rare occasions. 2. Illustrations are not submitted with a picture book text. We had no idea that we were impinging on the editor’s territory in providing illustrations for the text. It seemed the natural thing to do. To us, having illustrations with the text just made it more appealing. In reality, the editor judges text alone – the prime factor in choosing a manuscript. If she buys the story, then she chooses the illustrator. Sending someone’s illustrations with the text presumes to know better than the editor how to handle the illustrations for the book. 3. Illustrations should be in a style that is acceptable to publishers. At that time cartoons were sort of frowned on, except for Dr. Seuss. If I were an established or more confident artist, perhaps I could have made a case for using cartoons, if that’s what the text called for. However, this would only happen if the editor had called on me to do the illustrations, and then I showed her what I proposed. And my use of color was way out of whack with the standards of the time, when color had to be separated – a costly procedure, and something I knew nothing about. 4. A manuscript must be submitted in standard format. In our innocent attempt to make our presentation more attractive, we overlooked the fact that manuscripts should be submitted in standard formatting, typed on 8-1/2 x 11 inch bond paper with ample margins all around. No illustrations. No protective plastic sheets. And definitely no binding. If art is involved, as in the case of a professional illustrator submitting a story, a dummy book may be submitted along with the manuscript, but never in place of it. 5. An agent should not be hired without some proof of professional credentials. We accepted representation on the basis of a minor acquaintance. We heard nothing for a while., and after repeated inquiries, the agent returned the manuscript to us saying she had no luck with it. She disappeared from our lives, and we had no idea to whom she had sent it, or what they had to say, or even if she had shown it to anyone at all. An agent should be able to give you information about herself, her agency, and a list of other clients. She would most likely be listed in the Society of Authors’ Representatives, or have her name listed in various trade directories like Literary Market Place. We did everything wrong that we possibly could. You name it, we found exactly the right thing to do that was wrong. My author friend is now a many-published writer, as I am, and every now and then we take out that first hopeful effort and look at it the way you look at baby pictures after a child has grown up. How far we’ve come ! We laugh, of course, at the innocence and futility of those early efforts. I don’t think either of us would change that experience now. We had our initiation, and it was difficult, but we learned. Every step we took after that had more study and purpose to it, and we learned professional tips along the way. We studied, we read, we wrote and illustrated more, and eventually, we both got through that very scary door to the publishing world, each on her own two feet and prepared for whatever we met along the way. Everyone starts out as a beginner. We do our best to be prepared, but sometimes in our enthusiasm we may step naively into a world that has teeth and claws. That’s okay. We’re fast learners. If we missed something the first time around, we’ll learn, and never do it that way again. The good news is that now there are books and even courses and workshops to help us on the road to becoming a writer for children. Our store of knowledge grows as we mature as writers, and we will perfect our routine, submitting only our finest work, and in a professional manner, and each day another of us will go through that door to the publishing world. Barbara, thanks. Readers, please leave your comments below. BULLETIN: I meant to mention yesterday that my new nonfiction book, Mammoth Bones and Broken Stones, is now officially available. It’s about the archaeological search for clues about the first people who migrated to this continent. Who were they? When did they arrive? Where did they come from? How did they get here? I think it will be read and understood by upper elementary and middle school students but there’s no reason why high school students and adults won’t find it interesting. It’s a fascinating subject. Tomorrow my featured guest is Barbara Seuling, and I’m truly pleased to present her to you. As you’ll see from this brief summary of some of her background and activities, Barbara is a highly skilled and successful editor, author, and illustrator. I assure you, you’ll like what she has to tell us tomorrow. Don’t miss her. 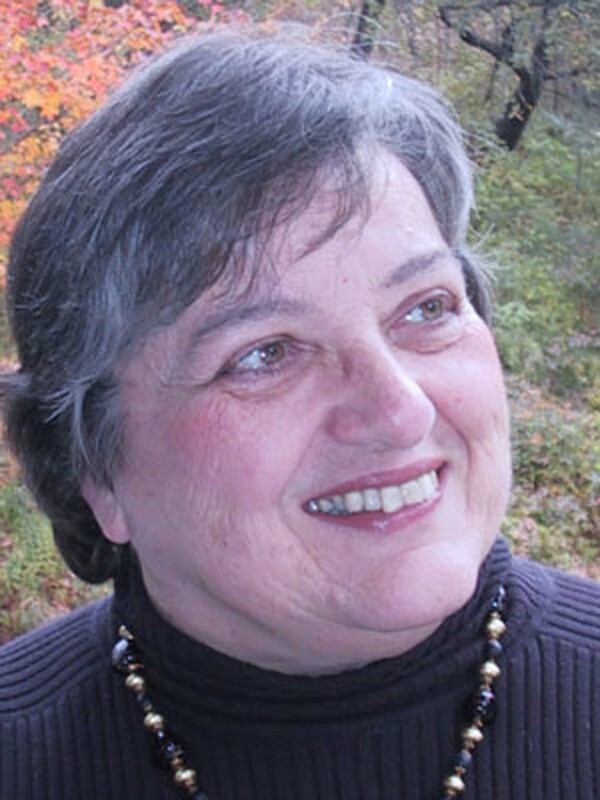 Barbara Seuling is the author and/or illustrator of more than sixty books for children. In addition to the chapter book OH NO, IT’S ROBERT and several sequels, illustrated by Paul Brewer, she has written many picture books, including WHOSE HOUSE? illustrated by Kay Chorao, SPRING SONG and WINTER LULLABY, illustrated by Greg Newbold, DRIP! DROP! and FLICK A SWITCH! , illustrated by Nancy Tobin, and FROM HEAD TO TOE: The Amazing Human Body and How It Works, illustrated by Ed Miller, and THE TEENY TINY WOMAN, which she illustrated herself. She is also the author of an adult book on writing for children, HOW TO WRITE A CHILDREN’S BOOK AND GET IT PUBLISHED. Barbara was a children’s book editor with Delacorte Press and Yearling Books, and with J. B. Lippincott Co., but is now a full time writer. For five months of the year, she lives in a cottage in Landgrove, Vermont, while the rest are spent in the city of her birth and heart, New York City. In addition to writing and illustrating, she directs the Manuscript Workshop in Vermont during the summer. In 2001, Barbara was called on by the philanthropic Soros Foundation to conduct children’s book writing workshops in Moscow and Budapest for writers in countries of the former Soviet Union.